The Dominican Republic has on of the most advanced telecommunications infrastructures in the region open to to foreign direct investment, with macroeconomic and political stability, and access to regional and global markets. Among its main competitive advantages we can bring the country’s excellent geographic location, as well as export incentives, low labor cost and productivity of workers. The Dominican Republican is primarily a service economy. This sector has 55% of domestic supply and is the largest employer in the country. Free trade zones, tourism, telecommunications and construction are key sectors of the economy. The legal framework for foreign investment in the Dominican Republic experienced a substantial change with the enactment of the foreign Investment Law 16-95, 20 November 1995 and its implementing regulations contained in Presidential Decree 380-96, later amended by Presidential Decree 163-97. 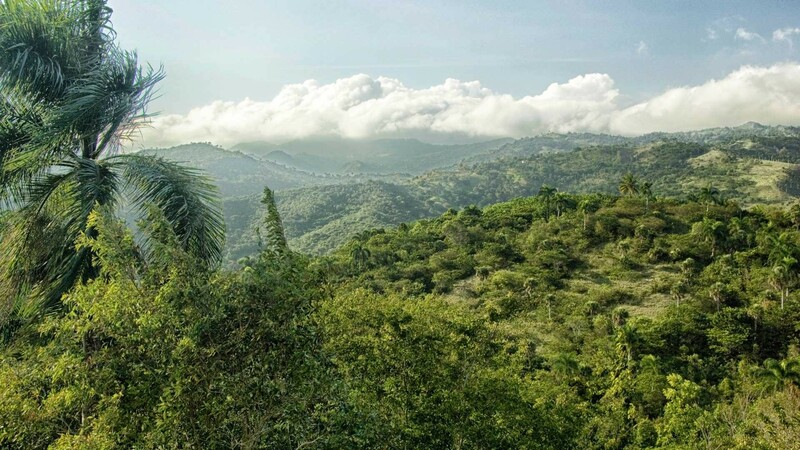 The addition of this new legislation has allowed the Dominican Republic to have a legal framework that offers greater benefits and security to foreign investors. The Manufacturers of goods and services for export provided as free trade zones (Law 8-90) of January 15, 1990 and implementing regulation no.366-97 of August 29-0 of August 29, 1997) benefit from a special system of controls customs and tax incentives of up to 100%. Any company that is installed under the benefits of the Law 28-01 of February 1, 2001, which created a Special Zone for Border Development, will benefit from exemption from all taxes for 20 years. Tourism is encouraged by Law 158-01, on the Tourism Development , which provides benefits to poor development poles and new poles in provinces and cities with great potential, granting tax exemptions for a period of 10 years. Law 150-97, which establishes the zero rate to supplies, equipment and machinery for the production. This law only applies to companies established in the country for agricultural projects. Law 183-02 of the Monetary and Financial Code, enacted with the aim of establishing a regulatory regime of national monetary and financial system where the consequences resulting optimal stability of prices, terms of liquidity, solvency and management of institutions financial intermediary to ensure the effective development of the system in an environment of competition and free markets. This law opens the financial services sector to foreign investors. The telecommunications industry, with its modern and competitive regulatory framework contained in Law 153-98, also represents an excellent sector for future FDI. Law 126-02 on Electronic Commerce, Digital Documents and Signatures, which regulates all commercial relations, structured from the use of one or more digital documents or data messages or any other similar means. The same adaptations has been created under international regulations. Law 20-00 on Industrial Property, which was created to protect inventions, Copyright, Marks and others. 3-02 Act on Commercial Registry, promulgated on January 18, 2002. Under this law, registration, tuition and registration of all documents required under the law, related commercial activities of individuals or commercial companies in the Dominican Republic, will be under the management of the Chamber of Commerce and Production which is exercised business. Law 1-02 Unfair Trade Practices and Safeguard Measures, which regulates the basic rules of behavior of economic agest, to ensure the effective free market competition and prevent or avoid the distortions generated by the practices unfair trade and to introduce temporary safeguard dispocicion domestic production from import surges. Law 19-00 on the Securities Market, enacted in April 2000 with the aim of promoting and regulation the securities market of the Dominican Republic, seeking an efficient and transparent, contributing to the economic and social development. Law 64-00 on Environment and Natural Resources, which establishes rules for the conservation, protection, improvement and restoration of environment and natural resources, ensuring their sustainable us. The Residency Program through the Investment was established by Decree No. 950-01, of September 20, 2001. This program has been conceived with the aim of benefiting the foreigners who make a considerable investment in the Dominican Republic, with the granting of a special residence, covered with the same rights as conferred by Law No. 95 on Immigration to foreign residents in the country.